VSUES International Club is a volunteer student’s club that helps to prepare foreign students for life and study in Vladivostok as well as acquainting them with Russian culture. 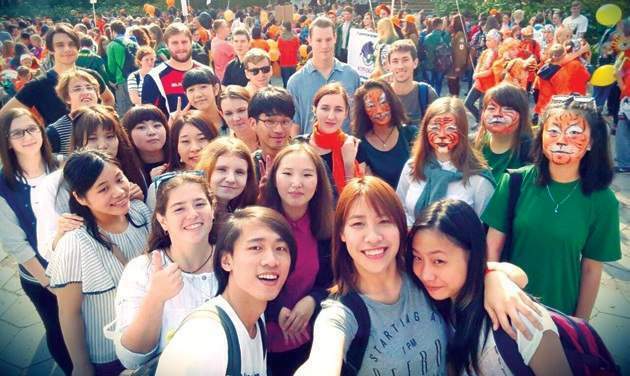 VSUES International Club is a community of active and creative young people interested in learning foreign languages and the cultures of the world, communicating with foreigners and developing their leadership potential. The main aim of VSUES International Club is to provide foreign students with help and advice concerning everyday matters and issues. Another part of our work is to make student life more enjoyable by organizing various trips, excursions, language courses and activities for Russian and foreign students. Please join VSUES International Club!